Sydney is one of the cities that are favored by visitors going to Australia. Browse through the article to get some fun and interesting facts about Sydney. Sydney is a city located on the south-east coast of Australia and serves as the state capital of New South Wales. Home to Sydney Opera House, one of the most popular World Heritage Sites of the World, the city is also counted amongst the most popular tourist destinations in Australia. The reason for it being the wide range of attractions it offers. Right from natural splendor, in terms of serene beaches and wild bush lands, to exquisite architectural beauty, the city has it all. The delectable cuisine, cheerful music, numerous adventure options and pulsating nightlife of Sydney only add to the fun. The city is also dotted with internationally famous galleries and museums. Sydney is one most coveted tourist destinations, with thousands of visitors from all over the world. Some of the largest social and cultural events of Australia are hosted here. It is one of the most important cultural hubs of Australia. With the following lines, get to know more about this Australian city. Sydney is situated on Australia’s south-east coast and is the state capital of New South Wales. Sydney was founded in 1788, when convict-bearing ships of the first fleet came from England, to set up the colony of New South Wales. A resident of Sydney is known as a Sydneysider. According to the International Visitor Survey, Sydney is one of the top ten attractions in Australia. According to the Mercer ‘cost of living survey’, Sydney is the most expensive city in Australia and the 21st most expensive city in the world. Approximately 4.5 million people visit the Sydney Opera House each year. As per Travel and Leisure Magazine, Sydney was the top city in Australia and one of the top ten cities in the world, in 2001. Indigenous Australians make up just 0.6 per cent of Sydney’s population. Sydney continues to rank in the top ten of the widely respected Mercer Quality of Living Survey and the Economist's 'World's Most Livable Cities' survey, regularly. Sydney has been listed as a Beta World City by the Loughborough University group, since 1999. Sydney has one of the lowest city population densities and highest living standards in the world. Sydney has served as the venue of 1938 British Empire Games, 2000 Summer Olympics and 2003 Rugby World Cup. Sydney is one of the most beautiful, cosmopolitan and safe metropolises in the world. Sydney was the site of the first European colony in Australia, established in the year 1788. The Fish Markets of Sydney rank as the 2nd largest in the world, in terms of variety. 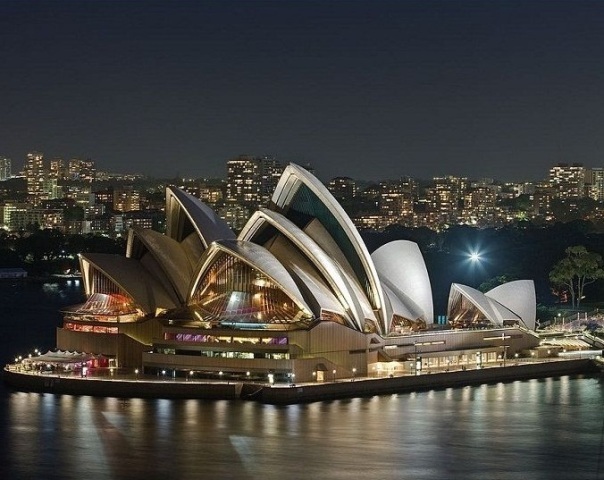 The Sydney Opera House was estimated to be built in just four years, but it took fourteen years instead! Sydney is the 73rd most populous city in the world. It is also the most populated city in the Oceania region. Rugby is the most popular sport in Sydney. Sydney’s Public Education System is the biggest in Australia and is known for its high standards. The Sydney Harbor Bridge has been nicknamed ‘Coat Hanger’ by the locals. The Sydney Harbor Bridge is the largest steel arch bridge in the world measuring 1,149 meters in length. The Sydney Tower is the tallest building in the city. The province of Sydney was first discovered by Captain James Cook in 1770, on his first voyage into the Pacific region. The Sydney Airport is the busiest airport in Australia, dealing with more than 29.1 million passengers a year. The ‘Sydney Gazette’ was the first newspaper in Australia, published in 1803.